Haier has today inaugurated its second Industrial Park in Greater Noida, Uttar Pradesh in the presence of Mr. Liang Hai Shan, Vice Chairman of Board and Executive President at Haier Group. The event was addressed by Mr. Song Yujun, VP, Global Appliances Haier Group and Managing Director, Haier South and South East Asia and Mr. Eric Braganza, President Haier Appliances India. Haier India began operations in the country in 2004 and is celebrating its 15 year anniversary this year. 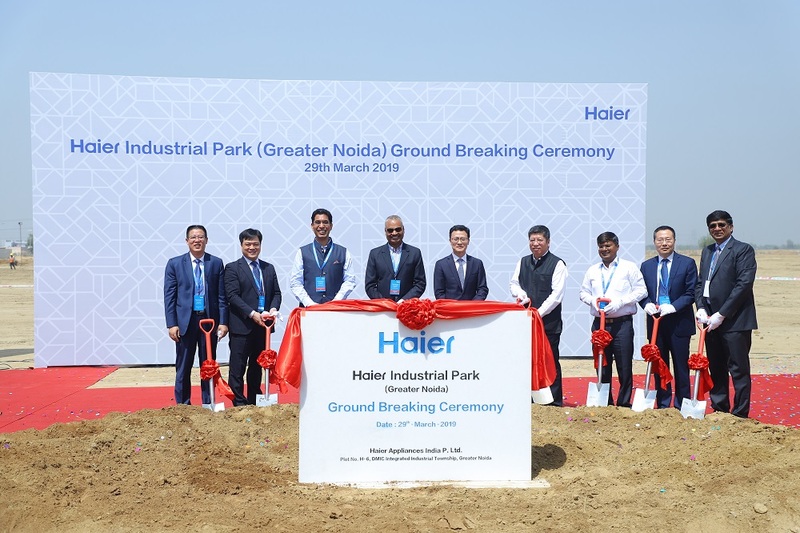 The event was conducted to mark the initiation of Haier India’s second industrial park in the country in Greater Noida, Uttar Pradesh. This comes after the company had signed a MoU with the Government of Uttar Pradesh in September 2018 to invest INR 3069 crores over the next three years in two phases. With this investment, Haier India aims to scale up the production capacity of categories like refrigerators, washing machines, air conditioners, LED panels, and water heaters. This second industrial Park of the company will hold a capacity to produce two million units of refrigerators, one million units of LED TVs, one million units of washing machines and air conditioners in a year when fully completed as stated by the company in its press statement. With its second industrial park, Haier India is expected to generate around 4,000 new direct employment opportunities along with over 10,000 indirect jobs in the country. This will also serve as an opportunity for vendors and OEMs (original equipment manufacturers) to scale up and bring about an expanded business with increased local production and lesser dependence on imports, adds the statement of the company. Next articleSo, You Want to Work in Artificial Intelligence?